It’s less than 6 weeks until the Strathpuffer. Following the mishap a week before the race last time, I’m just planning to get there in a reasonable state of fitness and enjoy this next few important weeks of training. I’m doing what a usually do – my plan seems to have been quite effective in the past and if I stick to it and really commit to the somewhat ‘unusual’ hours, I can fit in a serious amount of quality time on the bike per week without upsetting too many people too much…. Aside from the loneliness of solo late night rides in the various hills that surround Manchester, the vomit-inducing interval sessions in the cellar astride the turbo trainer and the fast lunchtime laps of the Hit the North course on whatever bike I’ve rushed out of the door on that morning, one of the highlights of the training week is the Tuesday morning, super-early, few hours before work ride with Phil. Pretty much in the same boat as me, Phil’s got kids, a busy job and some ambitious racing goals that he needs to put the effort in for. Our Tuesday rides have been one of the cornerstones of my training for a couple of years now – it’s a moderately long road ride where we meet on a street corner in a neighbouring county then ride for a bit, catch up on family news, have a laugh then increase the pace and pretty much race each other up one of the longest (and windiest, most exposed) climbs in the country. Down the other side, a quick handshake and we go our separate ways to work or breakfast table. Leaving the house to go cycling at 4:50am to meet a friend 18 miles away is a pretty silly thing to do but we’ve been doing this for so long now it seems normal. The threat of email and Twitter taunts if one of us cries off means that the motivation to get out of bed is always there and not once have we had a ‘crap ride’. 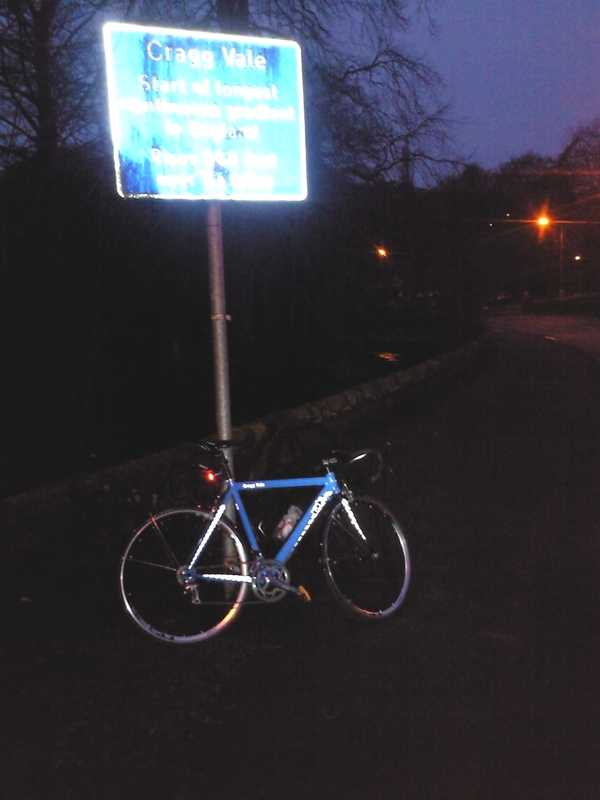 Even when it’s dark and it’s snowing….just like at the Strathpuffer.